Unstable government policies, lack of safety and security of funds invested by promoters are said to be some of the challenges hindering the development of Greenfield seaport in Nigeria. Others include: comfort of investors, non-provision of adequate measures to ensure continuity, lack of infrastructure and efficient transport system. While the above challenges cannot be ruled out, corruption has been a major obstacle. For instance, despite the yearly allocation of several billions of naira for the construction of a proposed Greenfield deep seaport at Ibaka in Akwa Ibom State by both the state government since 2011, the project has remained unrealised. Deep seaports were conceived to improve the overall cargo handling capacity of Nigerian ports and thereby increase Nigeria’s gross domestic product (GDP). 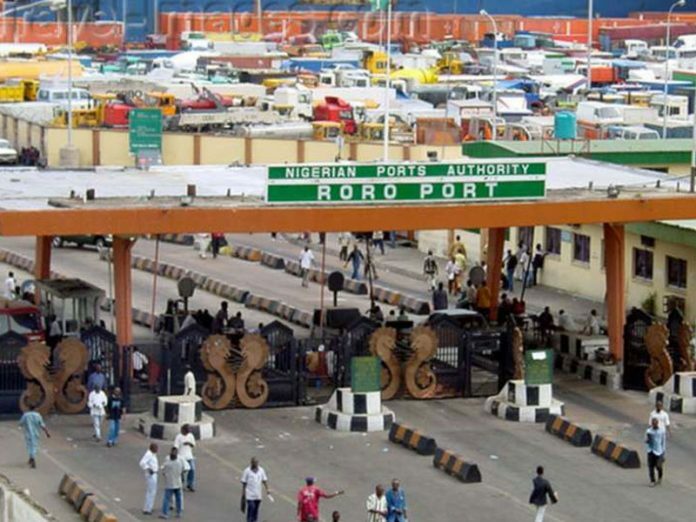 The handling capacity of ports in Nigeria is put at 60 million metric tonnes, while demand and usage is about 100 million metric tonnes, and they are expected to rise with the increasing population, urban expansion and attendant demand for more markets. The cargo throughput handled in the ports in 2010 increased from 66,908,322 metric tonnes in 2009 to 74,910,282 metric tons in 2010, indicating a 12 per cent increase. According to global trends in port development, out of a total of 100 plus seaport developments being executed the world over, approximately 60 to 75 per cent of these are deep sea ports or terminals. The balance is mostly inland water way ports and jetties. This clearly indicates that Nigeria needs better designed port facilities in tune with increased cargo traffic, for the global competition. Also, emphasis is shifting to larger more economical vessels that require deeper harbour drafts. Global logistics trends have made the need for deep seaports more imperative. The last two decades have witnessed a major shift in the exploration and production focus of international oil companies (IOCs), with deep offshore frontiers becoming more attractive and widespread. This has naturally affected the dynamics of crude oil carriage, just as more efficient means of petroleum products and liquefied natural gas (LNG) supply and distribution are sought from the downstream segment of the industry. Crucially, logistics services for these new frontier developments define the core of operations, costs and efficiency, with bigger vessels infinitely more able to leverage on scales and further thereto, on costs. The foregoing defines today’s shipping and oil and gas reality in Nigeria, and paints the canvass for deepwater ports in bold relief. The federal government has been under pressure to embark on policy measures that will encourage Greenfield port development in the country. Doing so, experts said, would impact positively on the overall cargo handling capacity of the Nigerian ports and thus increase the country’s GDP. Experts believe Nigeria needs new and better designed port facilities in line with increased cargo traffic nationally and globally, new and bigger marine vessels that need deeper harbor drafts. Global logistics trends and practices, they stressed, have made the need for deep sea port more imperative. “Nigeria should also have at least one port that can berth a Super Panamax Vessel,” said, Bello Ibrahim Gwandu, a former managing director, Nigerian Ports Authority (NPA), while giving reasons why Nigeria must develop Greenfield deep sea ports. He added that as the largest importer and exporter of cargo in the West African sub-region, one of Nigeria’s deep sea ports should become a hub for west and central Africa because of increased maritime and general trade volumes of the country. “The benefits of attaining a regional hub status include the potential to create directly and indirectly, approximately three to four million jobs over a five year period and a 70 per cent cut in vessel turnaround time as well as guaranteeing increased revenue from berthing charges to handling charges for the trans-shipment of cargoes. A deep sea port of draft not less than 35 Meters will almost guarantee Nigeria the regional hub status, which by volume of cargo alone sent or received from our ports, gives her the right to that status,” Gwandu stated. He said Nigeria needed a deep sea facility that load and offload finished, refine liquid, powder and containerised cargo adding that bigger ships move cargo more efficiently than smaller vessels, so the economies of scale make it imperative that shippers will buy new bigger vessels, which have to dock somewhere, a deep sea port. He said public private partnership (PPP) is best suited for port development because of capital layout required to develop ports and equip same and the broad range of engineering, engineering management and operational management expertise needed. 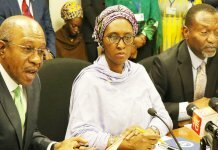 The government, he said, should promote the use of bi-lateral agreements from the private sector as a vehicle for infrastructure development and Nigeria achieving the regional hub status and assist willing investors where necessary to access loans locally and internationally to finance this type of developments. In the same vein, the Nigerian Port Consultative Council of Nigeria (NPCC) urged the federal government to complete the on-going deep seaport projects in the country as it will facilitate international trade expansion. The Chairman of NPCC, Kunle Folarin, gave the advice in Lagos. Folarin underscored the importance of infrastructure to the successful operation of the deep seaports. He said: “Deep seaport development is critical to our ability to deliver on international trade. As it grows, the infrastructure to support this particular enterprise becomes a fundamental issue. Within the infrastructure, also, there should be a renewal and modernisation of the port system. The modernisation of the port system includes the basics, which are the civil areas of berth, the areas of telecommunication, and the area of power in the port system so that the port can work in a desired 24-hour regime. “Without power, the equipment will not work to satisfaction; without power and illumination, all the working areas in the port and onboard the vessel would not be easily achieved. So still on infrastructure, he has to look at issue of the scanning machines. Although, done directly under him, it is a responsibility of the customs and that means the Ministry of Finance. Since the port is an operational area under his purview, he must also look at a critical infrastructure that is necessary to perform optimally in the port system. He stressed the need for Nigeria to focus on how to take advantage of the volume of cargoes via international trade. 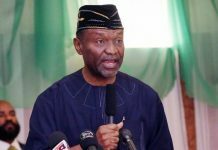 He said it was critical and important that Nigeria takes part in industrial trade in countries such as North and South America, Middle East, Sub-Sahara Africa, Asia and others. Folarin also called for the use of information technology in the operation of the seaports. He spoke of the need to look at port charges and determine whether the charges were commensurate with the services provided at the ports. Chairperson of Ibom Deep Seaport Implementation Committee, Mrs. Mfon Ekong Usoro, who was the pioneer Director General of NIMASA and the current the Secretary General of the West and Central Africa Memorandum of Understanding on Port State Control, believes deep seaport drives industrialisation and economic activities in the community. “So there is going to be a synergy between both activities. As we speak, to investors (shipping lines, terminal operators) are interested in knowing the economic and commercial activities in the state where the seaport is located. “When they know that there is a vehicle plant, a big mall, a petrochemical factory, power plant etc it immediately engenders interest. In point of fact, one of the shipping lines asked a question concerning availability of mega-sized malls because they bring in consumables and commodities from Asia for traders and supermarkets, “she said. She added: “We cited the vibrant markets in Akwa Ibom and Abia, mentioned Tinapa, but it is even better to say we have Shoprite in Uyo. As Shoprite sets up shop in Uyo, they come with their anchor tenants. We have the big mall, we have large markets in Aba, Onitsha and also in Akwa Ibom that are driving the demand for the deep seaport. Meanwhile, despite several challenges, the Akwa Ibom State Government has vowed that the multi-billion naira Ibaka Deep Sea Port project will be completed in less than three years. The State Governor, Mr. Udom Emmanuel, disclosed this recently in Uyo during a media chat. “Latest by April 2019 we should be able to have a deep sea port,” he said. 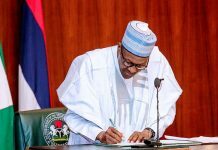 If this is achieved, it would be six months ahead of the December 31, 2019 deadline which Governor Emmanuel gave the 10-member Technical Committee on the actualisation of the project during its inauguration in early June. The governor, described the Ibaka Deep Sea Port project conceived by his immediate past predecessor, Senator Godswill Akpabio, as the only one in the country that has both Federal Executive Council and Presidential approvals. He described it as a very significant project which will help to unlock the non-oil potentials of Akwa Ibom in the face of dwindling returns from crude oil, in which the state is a major producer. “We are quite on tract,” he said. “Every single step we set for the project, we are achieving it,” the governor added. He also disclosed that his administration has moved swiftly to make the state-of-the-art Specialist Hospital built by the Akpabio administration functional by bringing in expatriate medical personnel who will run the hospital and later transfer knowledge to their Nigerian counterparts. On his part, Governor Akinwunmi Ambode of Lagos State had last year disclosed that the $1.65 billion Lekki Deep Seaport will be completed in 2019. 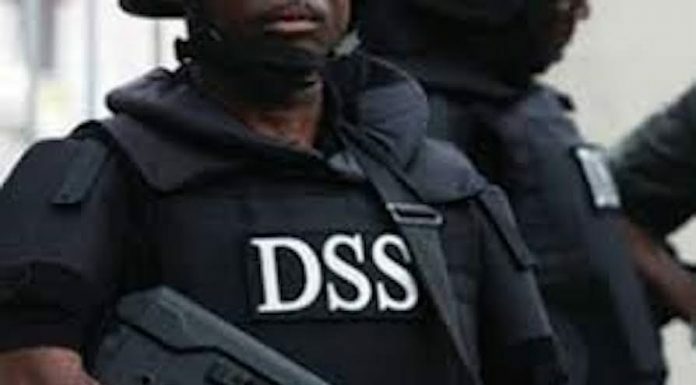 The governor stated this during the formal unveiling of the Office of Overseas Affairs and Investment, otherwise known as Lagos Global in Lagos, Southwest Nigeria. Ambode said that efforts put in place so far have ensured that the state remains the desired business haven, attracting significant foreign direct investments (FDI) such as the $1.65 billion Lekki Deep Seaport. He assured stakeholders that the seaport would be completed in 2019 and that upon completion, it would be the deepest seaport in Sub-Saharan Africa. Ambode added that the Badagry Creek Industrial Park, a $1.3billion investment and the $12 billion Dangote Refinery and Petrochemical Park were among other investments coming to the state.